The HD Series Multi-Leaf Volume Control Damper has been specifically designed for installation in systems where high air pressures and velocities are experienced. 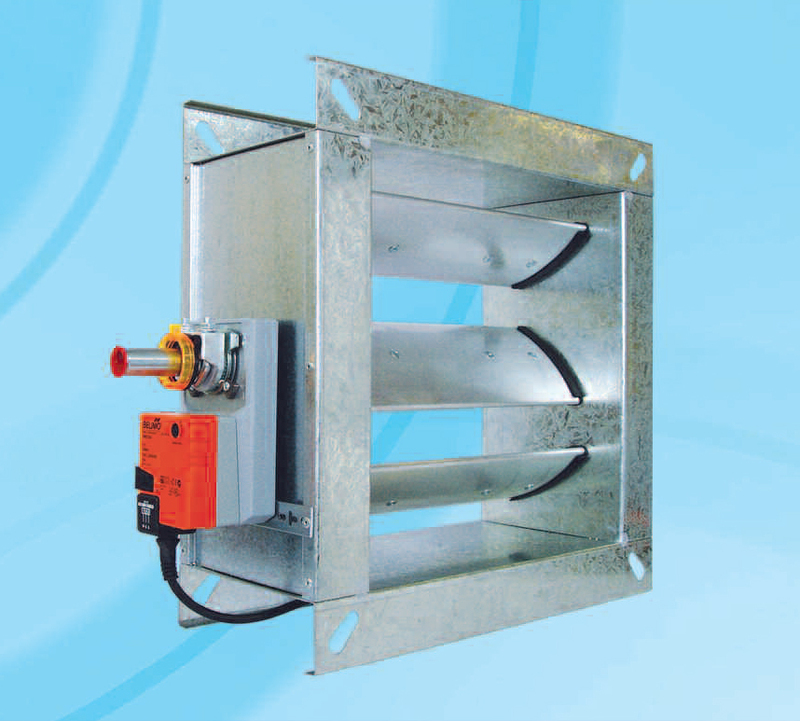 Combined with its robust construction, the damper is particularly suitable for use on air handling units. Dampers for air control can be manufactured with a single drive to a maximum size of 2500mm wide x 2000mm high. Where low closed blade leakage is required, the maximum size with a single drive will be 1000mm x 1000mm. Manual Quadrant Control, Motor Option or 19mm dia. Extended Spindle for actuation by others are available as standard. Click on the links top right for further information or download relevant documents below.